“We were making beer in the kitchen of our flat in Liverpool,” says Jon Kyme. “It got out of hand.” Of course, there’s a bit more to the establishment of Stringers, the craft brewery in Ulverston, than that. 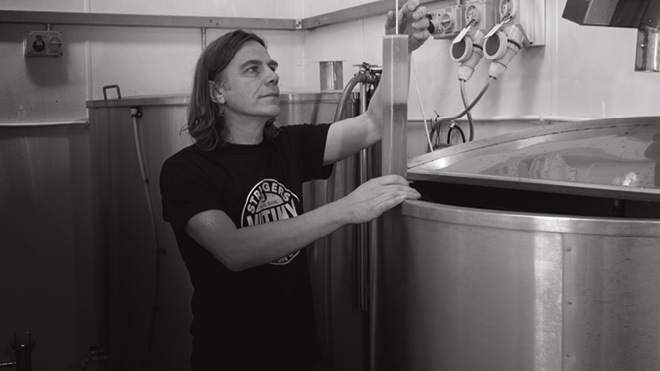 “Beer’s the thing we love,” says Jon, a Barrow lad who “dragged” biochemist wife Becky Stringer back to Cumbria to set up their brewery in 2008. Their five-and-a-half barrel plant produces “tiny batches” of beers including a rich amber IPA with flavours of bitter marmalade, and XB, a best bitter finished with Bobek hops for a fresh, light note.